SuMSeQ: A personal page with Torah and Science. Here is a list of books on the Torah. Each entry links describes the book and has a link to where one can purchase the book. Often, there are numerous translations/editions of the works. I have selected the one or two that I personally like the best. These are the fundamental books of Judaism. The list is not exhaustive, but is adequate for the scope of this webpage. The Torah (also known as the 5 books of Moses, The Pentatuch, and The Chumash) is first five books of the Bible. See the Torah front-page for a detailed description. 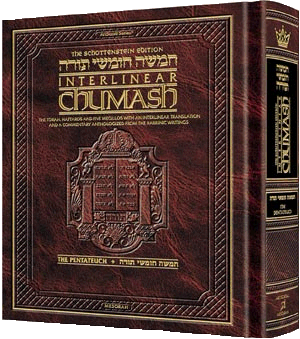 The link goes to the Interlinear Artscroll edition which has an excellent English translation, translates each word separately under the Hebrew text, and includes a concise English commentary compiled from many classic sources. The Bible (also known as the Tanach) is the complete set of books that were selected to be included in the Bible by the Men of the Great Assembly in ~450BCE. The books include the Torah, the Prophets (Joshuah, Kings, Ezekiel, etc), and the Writings (Psalms, Proverbs, etc). 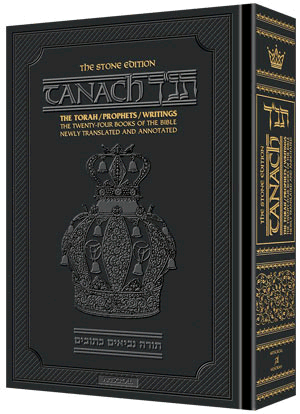 The link goes to the Artscroll edition which has a very good translation and a small commentary to explain difficult verses. 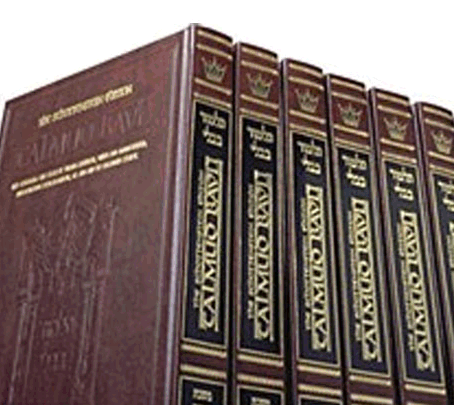 For a more in-depth look, check out the Judaica Press edition. The Mishnah was the first publicly published record of teachings from the Oral Torah. It is very terse, and the sometimes seemingly contradictory meaning of several mishnayos rely on additional information that was available at the time. The link goes to the Feldheim edition, which has a very good translation and features the translated commentary of Kehati, who clearly explains the mishnayos. Unfortunately, some volumes are out of print. For a similar (and also very good) translation/explanation, see the Artscroll elucidated edition. The Yerushalmi was the first compilation of the Rabbinic discourses explaining and elaborating on the Mishnayos. It was compiled during intense persecution, and historically was not learned over the years as much as the Talmud Bavi (see below). The link goes to Artscroll's new English edition (ongoing). The Bavli is the compilation of the explanations and elucidations on the Mishnayos, written by the Rabbis in Babylon. 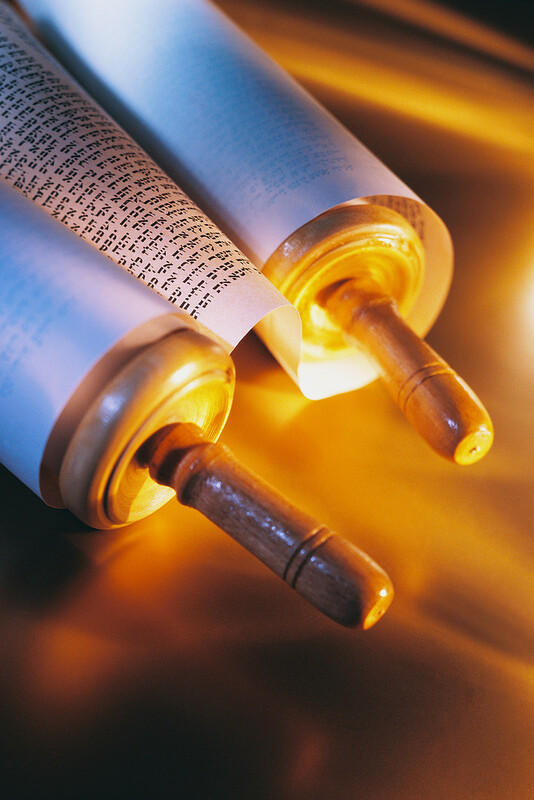 It has been the cornerstone of Torah learning for Jews for the past 1500 years. and is the basis for almost all Jewish law. The link goes to the Artscroll edition. A new translation and commentary published by Koren is ongoing and can be found here. 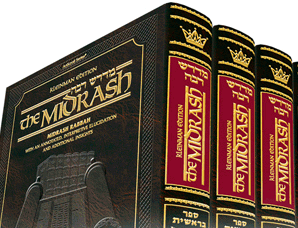 The Midrashim are a wide collection of Rabbinic teachings on the Torah that were passed down and formulated throughout the generations. There are many different kinds of Midrashim, some deal with Jewish law, while others record historical and/or allegorical/metaphorical stories, often teaching a (often implicit) moral/theological lesson. Some are of very ancient origin while others were written down after the Talmudic period. Even the latter are often based on teachings passed down from ancient sources. The link goes to the Artscroll edition of Midrash Rabba. 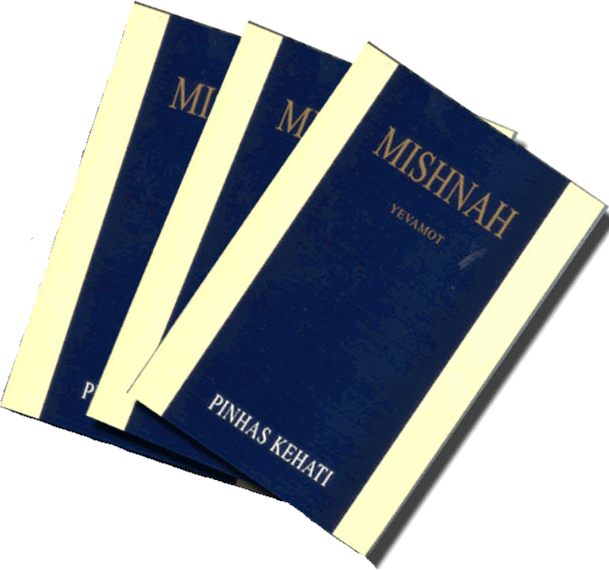 Another classic midrashic compilation called the Midrash Tanchumah has been translated by Soncino but seems to be out of print. One can check for print status here .